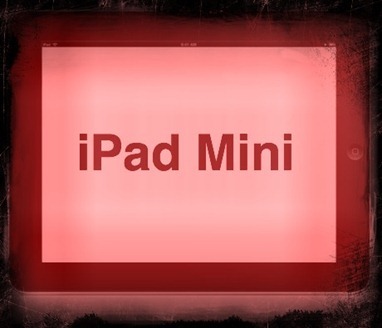 Want to see what the rumored iPad Mini is probably going to look like? Well you’re in luck – as a number of viable looking mockups and renderings have come out over the last week or so. The one shown above is courtesy of 9to5Mac and they say it ties in nicely with the growing consensus on the iPad Mini’s specs and the latest parts leaks for the widely expected smaller iPad. MacRumors has also released a very detailed set of 3D renderings of the iPad Mini and even a companion video for them – though they also point out that since they worked up these renderings a few likely specs details have emerged which are different to some of the assumptions made in these renderings. As has been previously noted, the 7.85-inch iPad offers 66% of the surface area of the current 9.7-inch iPad and almost 40% more surface area than competing 7-inch tablets. That’s huge if it all turns out to be accurate. Those are the sort of numbers that should make all the difference in the world in terms of how good the apps and experience are on the iPad Mini. An iPad that’s significantly thinner and lighter while still offering 2/3 of the surface area – damn that sounds good. Of course all of this is just conjecture at the moment, as Apple has announced nothing and is isn’t even expected to until next month – but it seems like with each passing year the Apple rumor mill gets more and more effective at outing a healthy percentage of the big details on hot new Apple devices. I’m definitely hoping that proves to be true with the iPad Mini. 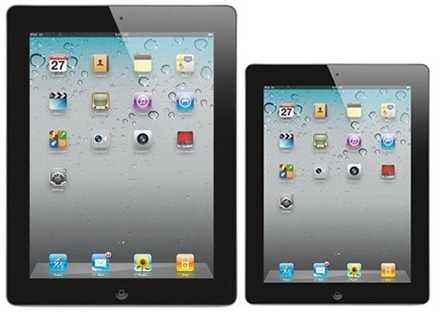 As always, I’d love to hear your thoughts on these latest iPad Mini renderings. 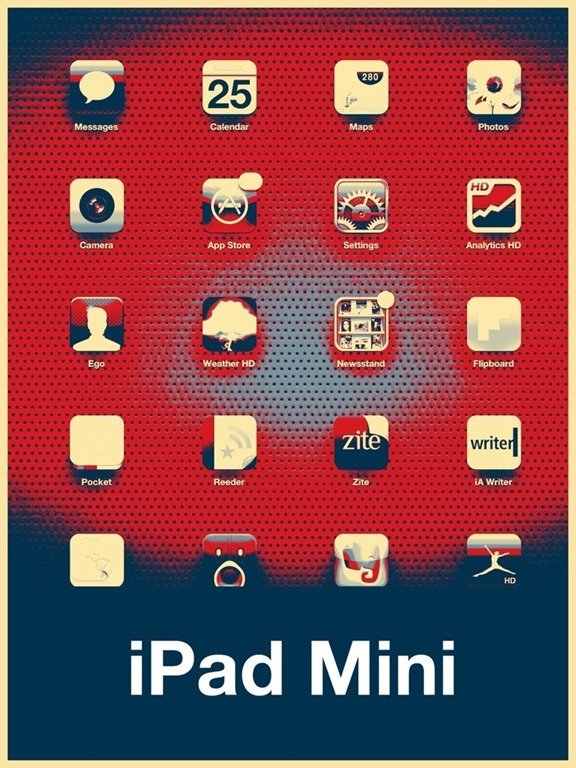 Are you lusting after the iPad Mini yet? Just when I was getting all giddy about buying a lovely new iPad Mini or iPad Air or whatever Apple’s smaller iPad ends up being called in the next few weeks, along comes word from those who are generally in the know that we won’t be seeing an iPad Mini announcement in September. Up until recently all the usual signs pointed to the iPad Mini being announced alongside the new iPhone at a widely expected though not yet confirmed Apple event on September 12 – with the new iPhone release following within 10 days. In the last few days several reliable and extremely well connected sources have weighed in suggesting that’s not the case – and that the iPad Mini will not share the stage or steal any thunder from the iPhone launch, but instead will be announced at Apple’s traditional music + iPod event in early October. John Gruber at Daring Fireball first suggested this approach would be the most likely, then Jim Dalrymple at Loop Insight gave his nod of confirmation by quoting the salient excerpt of Gruber’s piece and saying “Oh that Gruber is a smart fellow”. The rational, semi grown-up side of me thinks this all makes perfect sense. The new iPhone and the iPad Mini don’t compete for center stage at a single announcement event and don’t compete quite so strongly with each other for customer dollars with at least a number of weeks between their respective release dates – and both still come out well in time to get the most out of the holiday season. … fresh rumors say supply volume of the device are estimated to reach four million units per month beginning in September, giving the company enough time to prepare for the lucrative holiday season. 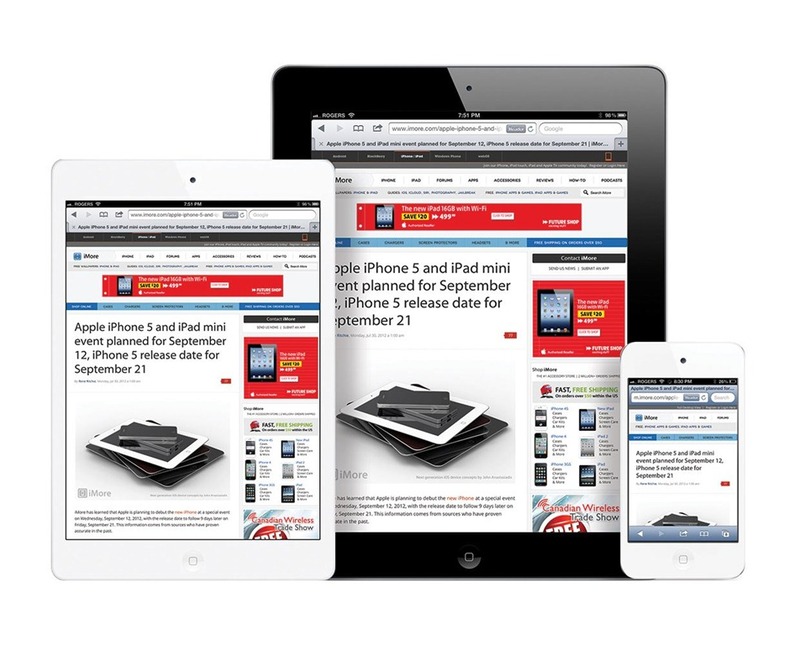 The report is based on sources at DigiTimes, which has a very spotty record when it comes to Apple rumors – but it does sound a lot like similar reports we heard from them about ramped up production for the new iPad at the tail end of 2011 and early this year, which seem to have proved accurate. 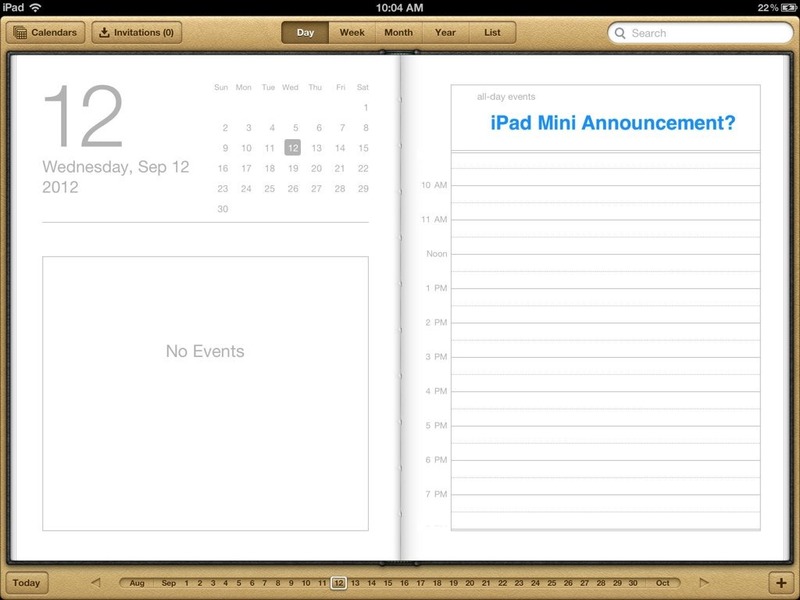 October seems quite a viable time for the release of the new smaller iPad too. One thing I know for sure – the more speculation I read on the size of the iPad Mini and how screen resolution and apps will work on it and how light it will be, and the more lovely mockups I see at iMore, the more ready I feel to buy it yesterday. 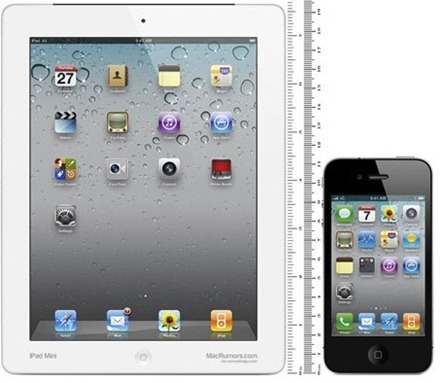 As In, I really can’t wait to get my hands on this new smaller iPad now. 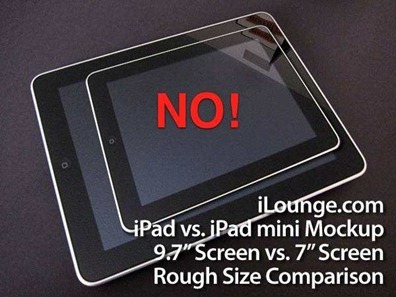 After a brief lull on the iPad Mini rumors front, things have kicked back in to a very high gear this week. In the last few days several of the leading ‘in the know’ sort of writers and sites have weighed in with new thoughts on and even lovely mockups of the much-anticipated new smaller iPad. Having used a Samsung Galaxy, I tend to agree with many of the comments below (except moving off the iPad). I believe there will be a 7″ market and we should do one. I expressed this to Steve several times since Thanksgiving and he seemed very receptive the last time. I found email, books, facebook and video very compelling on a 7″. Web browsing is definitely the weakest point, but still usable. It seems a virtual lock that we will be seeing a smaller iPad released this fall / winter, though the general consensus is that it will be much closer to an 8 inch tablet (7.85 to be precise). And probably a big holiday season hit this year too. Lately it has seemed that iPad Mini rumors had reached the boiling point where all that was missing was a date for an Apple announcement event. 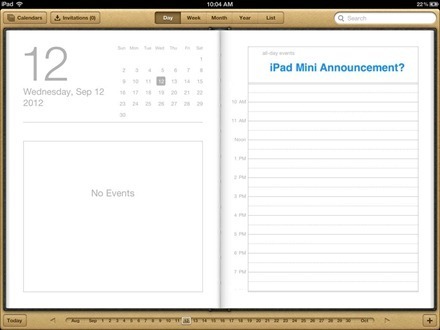 And now, according to the trusted sources of iMore’s Rene Ritchie, we’ve got one: Wednesday September 12th. Ritchie’s report says the iPad Mini (or whatever name Apple decides to give it) will be announced alongside the next new iPhone and probably a new iPod Touch as well. The iPhone 5 (or whatever name the next iPhone is given) is said to be set for release on September 21. According to Ritchie and others like iLounge, the iPad Mini could be released as soon as September 21 or as late as sometime in November. Ritchie and his sources have a pretty good record when it comes to Apple event and release dates. My feeling, again, is that the iPad Mini release is virtually a lock now – and it looks like a release in just the next few months is on the cards now. I’m definitely going to continue to save up for an iPad Mini purchase within the next three months. 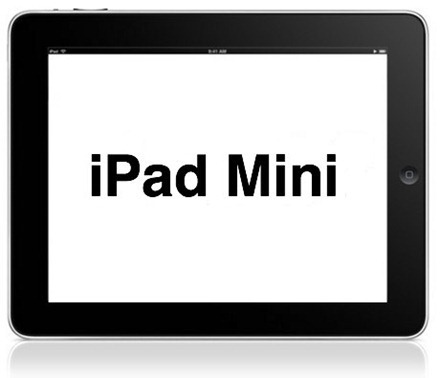 As always, I’d love to hear your thoughts on and purchasing plans (or lack thereof) for the iPad Mini in the comments. As the summer grinds on I’m starting to think about trying to save my pennies and find a way to budget for trying to acquire two new tablet devices this fall: an iPad Mini and a Microsoft Surface RT. As I’ve mentioned in a few recent posts, I think the release of an iPad Mini (or whatever name is given to a smaller iPad) is virtually a lock for later this year or early next year. It looks likely that it will be 7.85 inch sized tablet that will extend the iPad range and perhaps put a dent in any momentum that tablets like Google’s Nexus 7 and the Kindle Fire have attained in the absence of a smaller, less expensive iPad. I’ve been tempted a few times over the last couple of years to try out a smaller tablet than the iPad – especially when I saw a couple of glowing reviews of the 7 inch Galaxy Tab by mobile tech writers whose work I respect and enjoy. 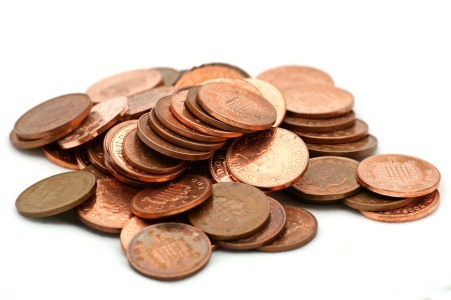 Honestly I just never managed to get round to it – when I had the dollars I didn’t have the time and vice versa. As if there weren’t already enough compelling indicators that Apple is looking to release an iPad Mini over the next half year or so, now The New York Times has weighed in and said their sources confirm the same sort of information we’ve been hearing from Bloomberg and The Wall Street Journal and others over recent weeks. In a report yesterday the NYT mentioned that the iPad may be facing stiffer competition soon as Google has released their Nexus 7 (which is getting some quite strong reviews), Microsoft has announced their upcoming Surface tablets / hybrid devices and Amazon is said to be planning updates for their Kindle Fire. As with many new Apple products over the last few years, all the iPad Mini rumor stars are aligning now. Gruber’s little birdies are chirping the same sort of things as the NYT’s people with knowledge of the project. 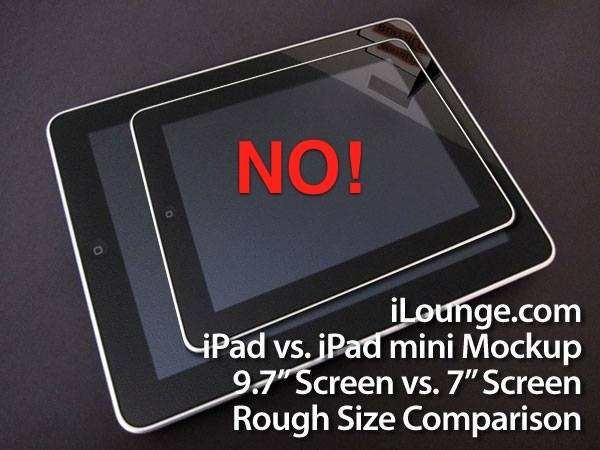 Jim Dalrymple at The Loop is using the word when rather than if when talking about a smaller iPad. By now it will be a bit of a shocker if we don’t see Apple release a smaller iPad, and I expect over the next couple months we may well start seeing more and more leaks of iPad Mini spec details and perhaps even one of those lovely Apple event invites. Maybe they’ll announce it alongside the next-gen iPhone. I guess I’ve reached the stage where I’d be more surprised not to see the iPad Mini released in the next 8-10 months, and I wouldn’t be shocked at all to see it launched this year. Well, this week has only increased that feeling, I’d say it’s now very likely we will see an ‘iPad Mini’ (or whatever Apple ends up calling it) released in the next 6-8 months. The reason I now feel so convinced of this is that two of the best and best-connected Apple writers have weighed in (to varying degrees) on the subject this week, and all the indicators from them are that we will see Apple release a smaller iPad. The size problem — It’s a mistake to call it a 7-inch iPad, says Gruber, because a 7.85 inches diagonal is closer to 8 inches than the 9.7-inch diagonal iPad is to 10 inches (and nearly everybody refers to the current iPad as a 10-inch tablet). Most 7-inch tablets have been disappointments. An 8-inch tablet needn’t be. The sandpaper problem — When Steve Jobs said you’d need to sandpaper your fingers to use a smaller iPad he was talking about a 7-inch screen (50% the surface area of today’s iPad), not a nearly 8-inch inch screen (64%). [According to Jobs and Gruber’s geometry, the ratios are 45% and 66%.] Besides, Jobs was famous for changing his mind on a dime. The iPad rumor that just won’t die – the one that says Apple will release a smaller iPad or an iPad Mini as it’s often called – has gained strength again this week. 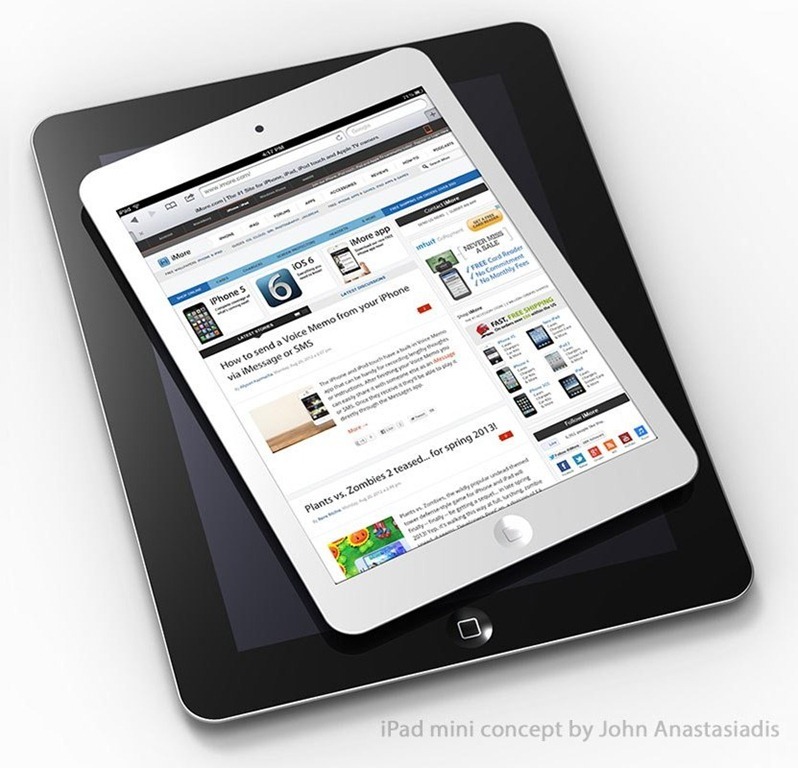 Reports from both Bloomberg and The Wall Street Journal say the iPad Mini is coming this fall. Apple Inc.’s component suppliers in Asia are preparing for mass production in September of a tablet computer with a smaller screen than the iPad, people familiar with the situation said, suggesting a launch for the device is near. Two of the people said that the tablet’s screen will likely be smaller than eight inches. 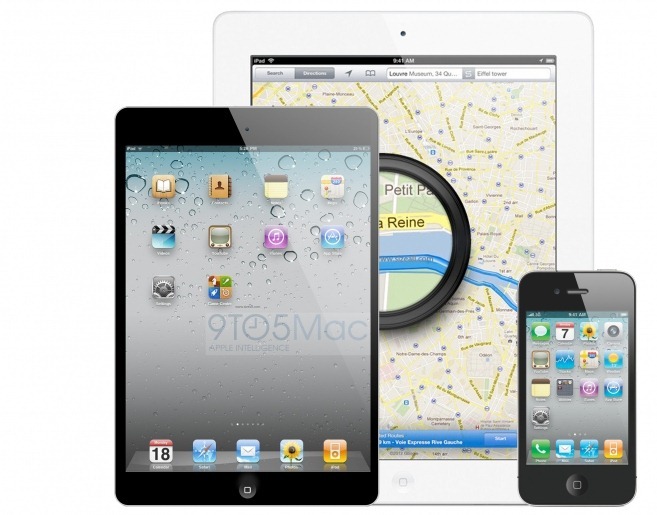 The iPad’s screen measures 9.7 inches, unchanged since the first model was released in 2010. Officials at the component suppliers, who declined to be named, said this week that Apple has told them to prepare for mass production of the smaller tablet. John Gruber of Daring Fireball notes that if these reports prove true he expects the iPad Mini (or whatever it ends up being called) would likely be a 7.85 inch tablet with a 1024X768 display – based on the reasons and logic put forward by A.T. FAUST III of App Advice a few months back. During Apple’s Q4 financial results call today, Steve Jobs had a lot to say about upcoming potential iPad rivals (much more on that later) – including some very choice words on Apple’s view on and the prospects for 7 inch tablets. I think it’s safe to say (unless this is one giant Jobsian ruse) that he has ruled out any 7 inch iPad models coming in future. A 10 inch screen size is the minimum size required to create great tablet apps. One would think a 7 inch screen is 70% of the benefit of a 10 inch screen – but because of diagonal screen measurment, it’s only 40% – this size is insufficient to create great tablet apps we believe. Not too much room for doubt there. 7 inch tablet = bad. 10 inch tablet = very good and magical. That’d be my quick synopsis.